Hygge – life is what you make of it! The world around us is constantly becoming faster and more global. And it seems as though quiet moments of joy are becoming less and less common. But things can be different – they can be “hyggelig”! “Hygge” is Danish. Freely translated into English it can mean “coziness”, “security” or “contentment”. It is concerned with feeling good, being relaxed, being in harmony with yourself and your surroundings, and enjoying the little things in life – in other words, living life fully in the here and now. According to the “World Happiness Report” of the United Nations, Denmark is the happiest land in the world – for the fourth time in a row. Deciding factors for this distinction included generousity, freedom of choice, and social cohesion. Meik Wiking, happiness researcher from Copenhagen, studied the Danish philosophy of life in his bestseller, “HYGGE”. According to him, the Danish feeling of happiness has many faces. It could be the spirit of a sociable summer evening with friends or the magic of a crackling fire in the fireplace, the enjoyment of a delicious piece of cake or the pleasure of watching snowflakes dancing outside the window. These moments of pleasure all have in common that we can’t buy them, we experience them. So “hygge” is what you make of it. You can’t always influence the outside world but you can decide how you shape your home. Bring the Scandinavian sense of well-being into your home. You are the only one who knows what is “hyggelig” for you. Most importantly, you must feel good! Does that happen when you are knitting? All the better. 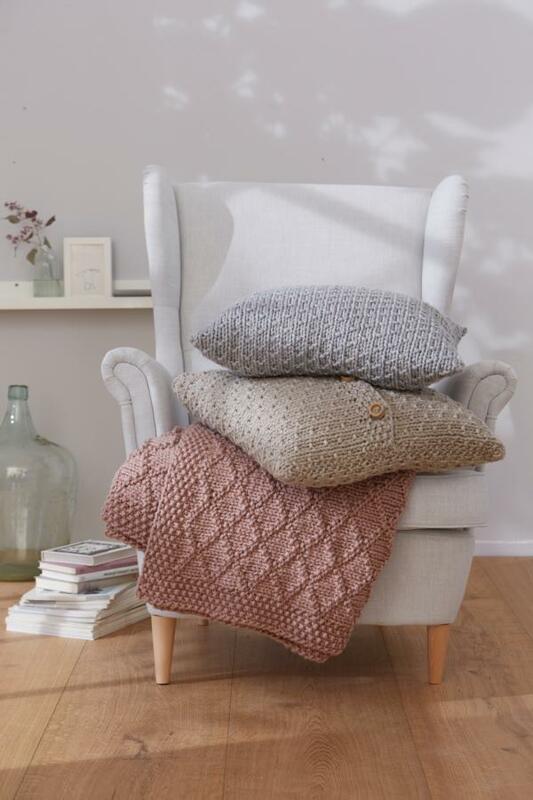 Our Hygge collection is full of inspirations which let the good feelings begin with the creating. 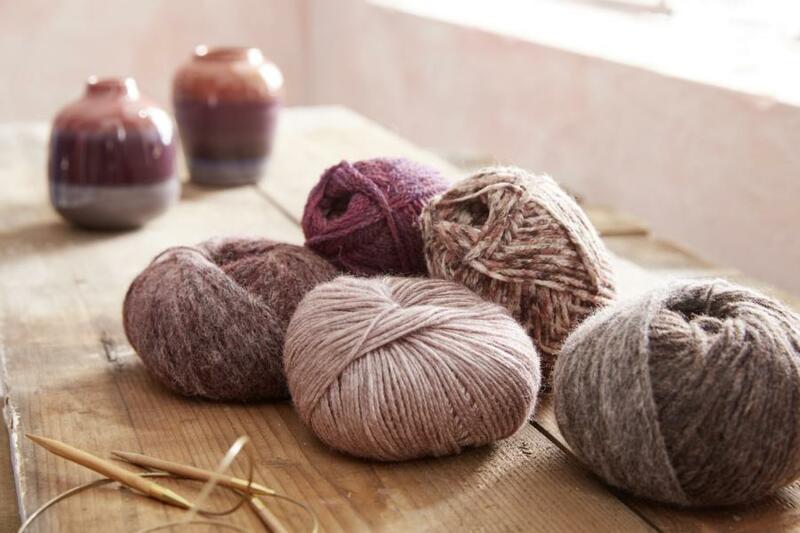 The casual elegance of our knitting ideas is typically Scandinavian. 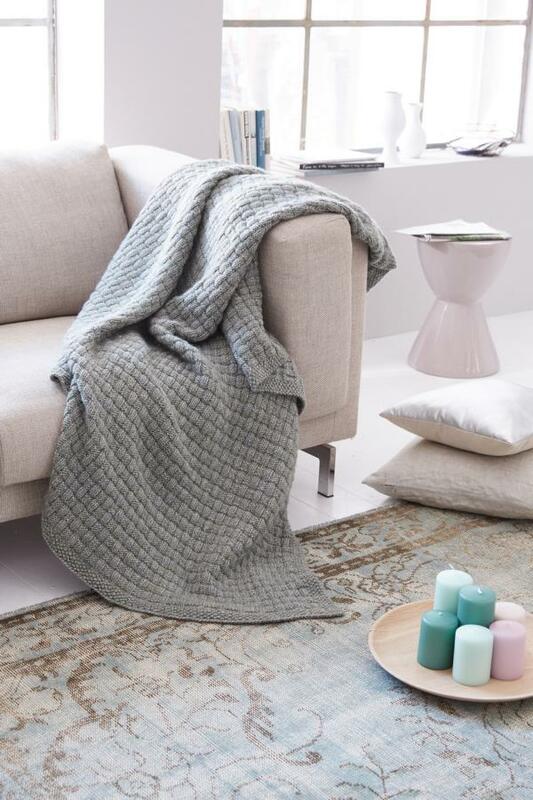 Comfy blankets, cushions, and shawls in light shades create a relaxed atmosphere – and the promise of wonderfully carefree hours on your couch! Fantastic mittens and socks with Nordic patterns will keep you cozy and warm – perfect for romantic winter walks. 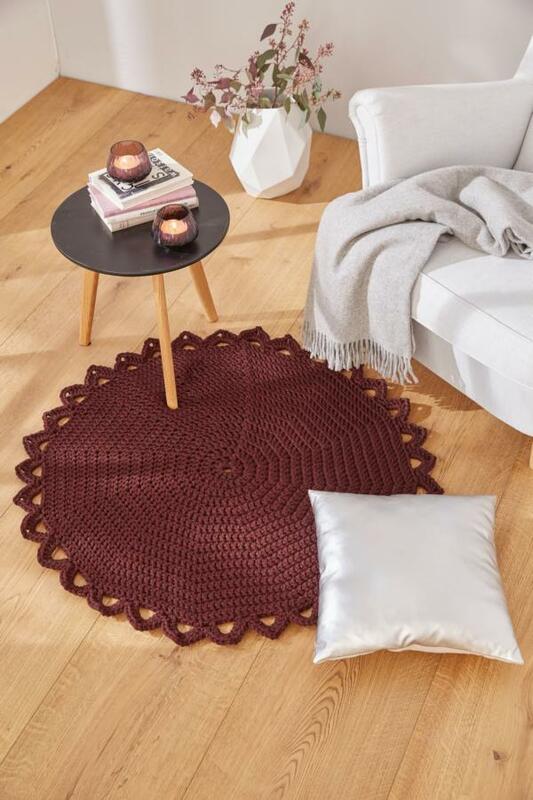 And if you are looking for a coloured accent for your home, the crocheted rug is just right for you. We wish you a memorable “hyggelig” time!